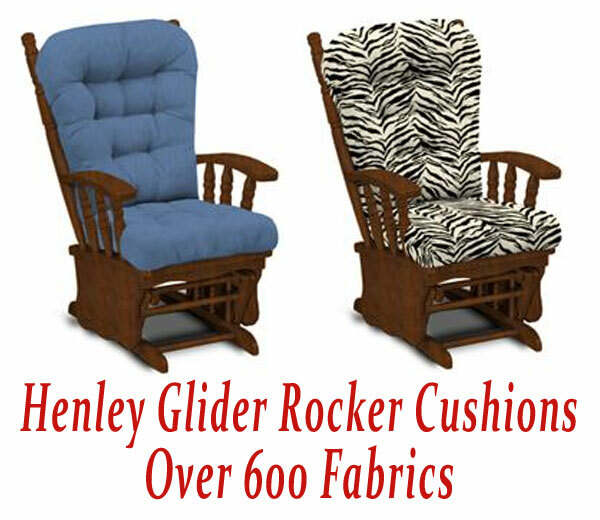 This glider rocker cushion set is a replacement set for the Best Brand Henley Glider Rocker Chair #C5860-1, #C5867-1, and #C5869-1. If your glider rocker looks like the chair we have pictured but is not a Best brand chair exactly as above, or you are not sure of the brand do not purchase this cushion set as it may not fit. If you have a Best brand chair, turn the chair up side down and a paper tag should be visible at the bottom of the seat detailing the brand of chair and item number. Please order the correct cushion set. Awesome custom made product! Worth the money! I am a new mother and nurse at least 8x per day. This rocker cushion is super comfortable and makes nursing that much more enjoyable. Soft fabric, fits into rocker very easily and in general, is of excellent quality. SIR, The cushions came on time and great condition.They look great.A minor problem with the back cushions strap to hold it on the chair.I sort of expected a male & female strap.only a female strap was there. 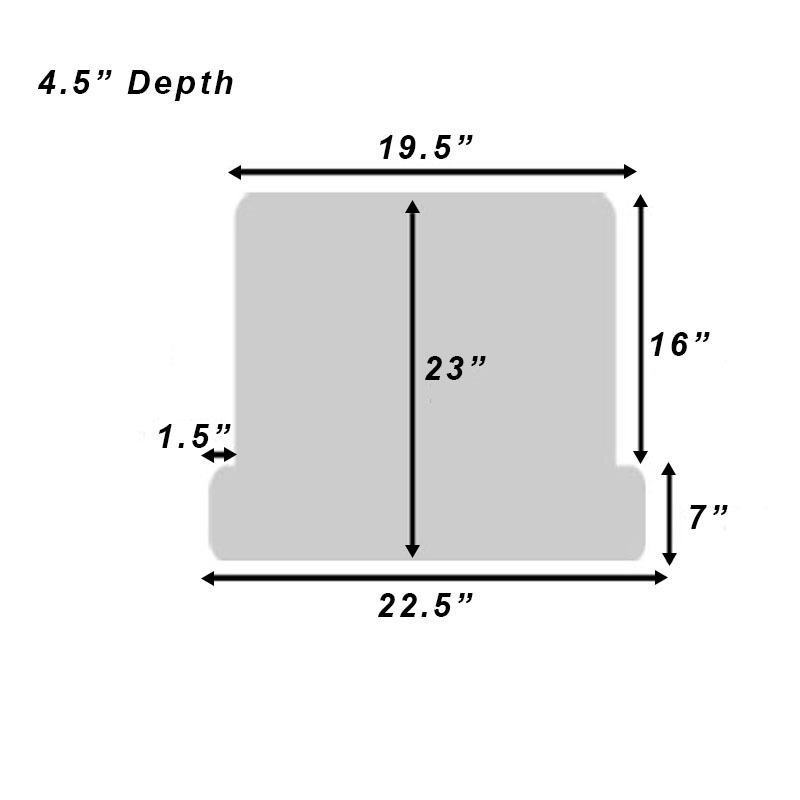 I ordered something with a corresponding size as the Glider I have is no longer made. 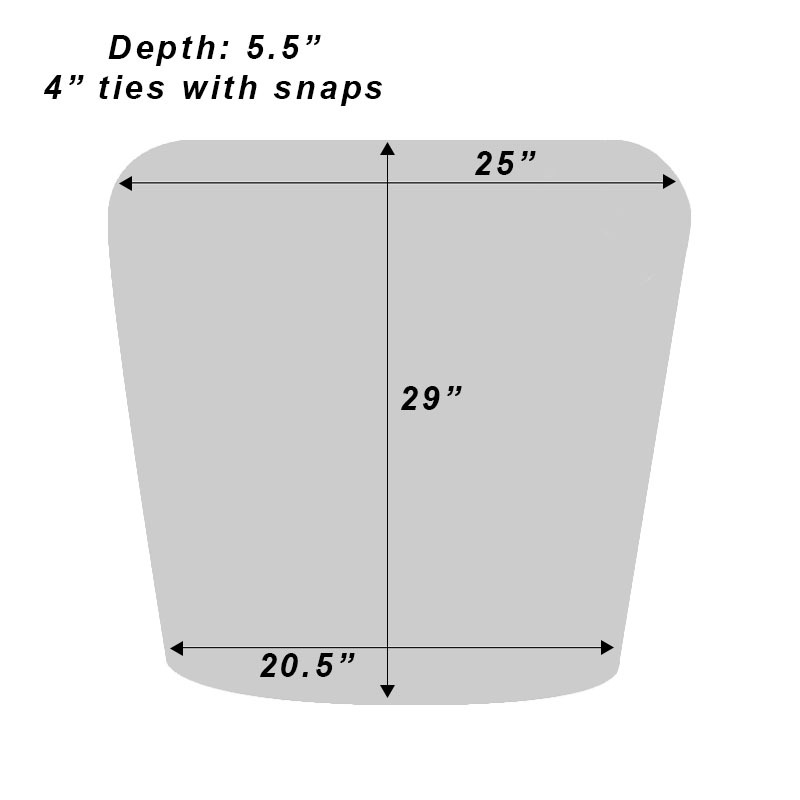 The dimensions I ordered were very close to what we needed.It worked out great. We thank you for the great work . The craftsmanship on this item was fantastic. Definitely better than anything I would have done myself. The replacement cushions fit perfectly. The stool cushion was easy to replace. The fabric was true to the sample and modernized the entire look of the chair with the quatrefoil pattern.